Even subtle changes in your smile help you to project an image of self-confidence and high personal esteem. When you feel good about yourself it shows in your appearance. Using advanced cosmetic dental treatments and materials, your Los Angeles, CA cosmetic dentist, Dr. Mouton, can make a real difference. The skill, experience and commitment of our practice can literally redesign your smile. 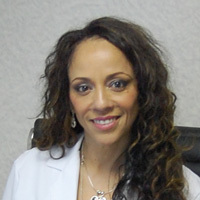 Dr Marsha Elaine Mouton is a graduate of the University of Texas Health and Science at the Houston Facility. She has been servicing the community since 1986. After graduation she continued on with her education at the University of Southern California (USC) and the University of Boston with extensive studies in endodontic treatment and surgery. Her approach to the treatment of her patients includes the holistic alternatives as she feels the consideration of her patients has to be a combination of the whole person, mind, body and spirit in her quest to offer them the optimum dental health and well being.